The Debt Prescription Act (68 of 1969) is in place to ensure that Creditors do not continue to collect debt that has prescribed as per the various time lines set out in the Act. These time lines range from 3 – 30 years, depending on the type of debt. 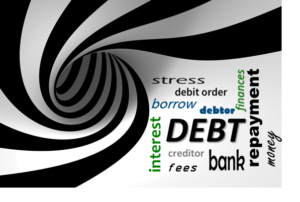 It simply means that certain debt can ‘expire’ after a period of time, and Creditors are abuzz trying to find suitable ways to avoid having to write off large amounts of unpaid debt. The Chaos: While the Act states that ‘prescription shall be interrupted by an express or tacit acknowledgement of liability’ by the Debtor, the Industry seems to believe that the only option available to avoid prescription is to obtain a partial payment from the Debtor. There will, no doubt, be much conversation based on the accepted meaning of the word ‘tacit’. The combination of the letters AC and DC used to either refer to the types of electrical current flow in your house, or a legendary Australian rock band. In the local Finance sector it is the ‘new black’ in the world of debit orders (DebiCheck, formally known as Authenticated Collections). The ultimate prize is to replace NAEDO transactions – the tool used by Creditors to collect monies long before the banks are open for their daily trade. The problem is that the system is prone to abuse by both wily Debtors and dishonest Creditors, and the banks that are caught in the middle face the most risk. The Chaos: The electronic DebiCheck methodologies to be used to gain the required Debtor confirmation in non face-to-face environments work perfectly in theory, and fail dismally in the real world. This will leave many Creditors without the ability to collect funds that are contractually due to them. Did you know that the purpose of the Protection of Personal Information Act is inter alia to ‘introduce certain conditions so as to establish minimum requirements for the processing of personal information’? And while our Constitution provides that everyone has the right to privacy, this Act ‘recognizes the need for economic and social progress’, which ‘requires the removal of unnecessary impediments to the free flow of information, including personal information’. The Chaos: Creditors are busy worrying about detail that doesn’t exist in the Act. Comments such as ‘My documents need to be password protected’, and ‘It is illegal to move Consumer data off-shore’ are naïve. The recent GDPR roll-out provides the perfect case-study of the important items that require focus and energy. There are clearly still many unknowns relating to these items, along with no clear path on where and how to find the required answers. The next few months are certainly going to create interesting debate as new precedents are set. Why Do I Have Less Than 1000 Days To Redo My Customer Communication Strategy? What is certified electronic communication? Certified Electronic Communication is a type of telematics means whereby a third party, bears witness to the communication. This ensures a complete chain-of-custody validating the communication between parties, as well as the assurance that your messages are tamper-proof. South African legislation (specifically NCA 129, and ECT 19) allow for ‘registered letters’ to be sent electronically.